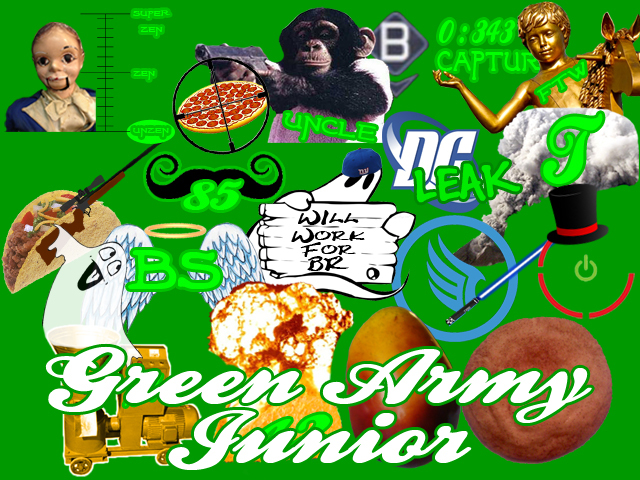 Our story begins with Green Army deciding that they want to form a farm team. From that season, all that remained was a team that didn't really know what to do with itself. Only two members survived, Rally and Taco. Flash forward a few seasons of chaos and only one original member remained. Along the way, Taco was joined by more members on his quest: a betrayal magician of forsaken fruitiness, an obliviously oblivious machine of ghosts, and a sugary-cinnamony cookie of destruction. These four joined forces with numerous other interesting characters, as they made their journey to discover the shenaniganiest of all shenanigans. Now the three men, their death bringing, cookie friend, and companions* continue on their quest, battling the forces of evil one bomb plant at a time.....or something like that. *Please note this no longer includes Paul, even though he still tries to participate in team votes. We wish he would stop. Someone please make him stop. Paul, please...Paul...Stahp.